Bastian takes in the scenery of her new home in Newcastle, England. Bastian has already won two trophies in her time playing at Northumbria University. 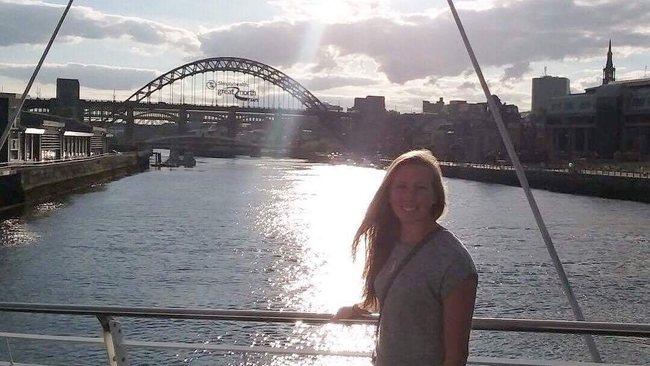 Truman State University volleyball alumna Kayla Bastian has had a successful first season in England at Northumbria University. Bastian has already won two trophies and advanced to the National Cup Finals. 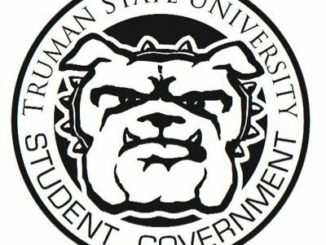 Bastian is no stranger to success as she was part of two conference-title teams at Truman and her name can frequently be found in the Bulldog record books. Bastian said the team’s goal for the season is to end with five trophies, and the team has had its sights set on that since the beginning of the season. The goal is to keep the indoor season going until May at the National Volleyball League Finals. Once the indoor season ends, beach volleyball season begins. Bastian said it has been an adjustment playing volleyball in another country after she spent years learning the game in America. Bastian said the team still participates in drills and scrimmages. She said she has not perfected her volleyball game, but that is what she loves about the sport. Bastian said she is thankful for her experience so far. Along with exploring a different way of living, Bastian said she has met great people she has grown close to. Briney had nothing but positive things to say about Bastian’s time at Truman. Briney said one of her best qualities is that she constantly wants to get better and asks what she needs to do to improve. Bastian was a part of the 2016 GLVC champion team, where the Bulldogs started their season 3-11 and persevered to win the conference. She led the team then in kills and service aces on her way to a Second-Team All-GLVC selection. Besides the aforementioned categories, Bastian also led the 2016 championship team in games and sets played. She was one of two Bulldogs to play all of the team’s 35 games and one of three to play all 128 sets. Briney said Bastian was also valuable because he knew she was going to work hard in practice everyday. “From the day she walked on campus to the day she graduated, you got [that motivation] every day in practice, and that’s why she ended up where she ended up, and that was a huge part of our leadership her senior year,” Briney said.